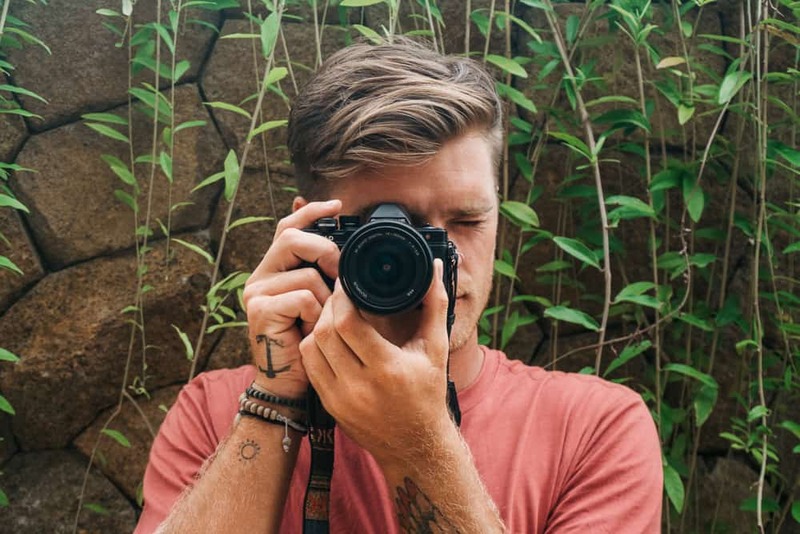 I spent seven days cruising down the west coast of Sri Lanka and I gotta tell ya, it was one heck of an adventure! 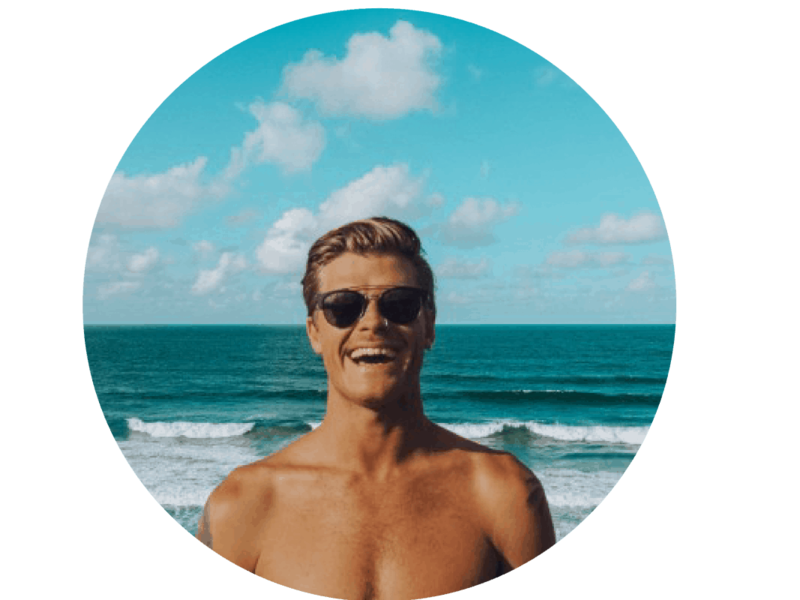 From palm tree rope swings in Dalawella to surfing at Midigama Beach, these are just some of the awesome things that you can expect! Now, where is this Secret Beach I speak of?! 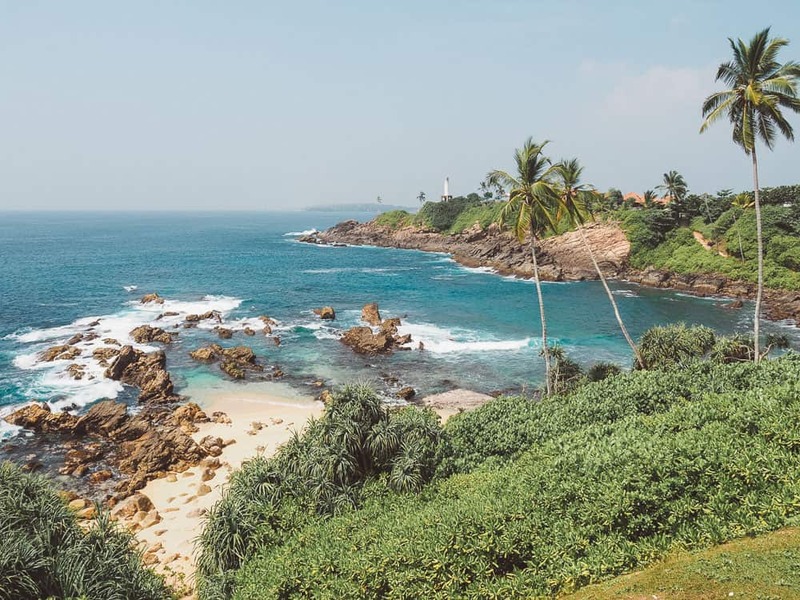 Well, it’s a little hidden gem just around the corner from the main beach in Mirissa, which is on the south-east tip that makes up Weligama Bay. 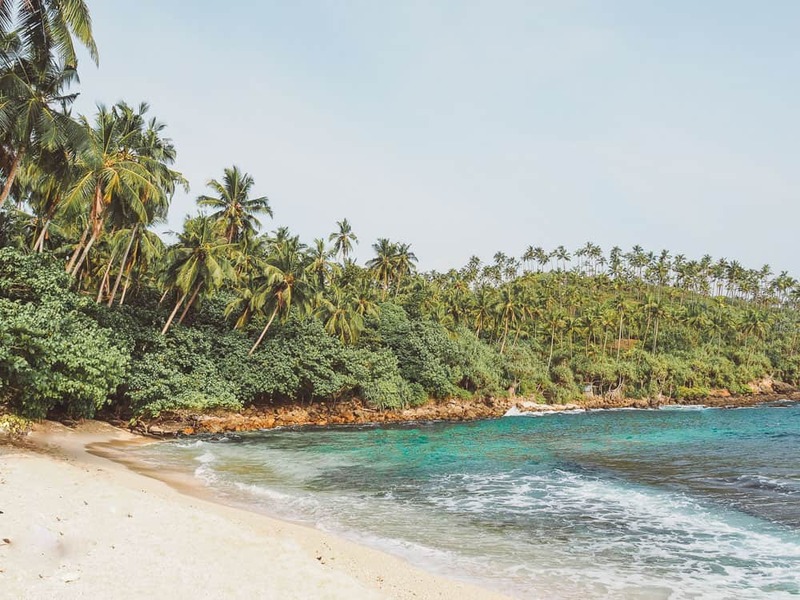 Right now you are probably thinking, ‘If it’s a secret beach, why is it on the map?’ Well, my only answer to that is, I believe that at some point this was a secret spot only the locals knew about and they could only keep it a secret for so long. 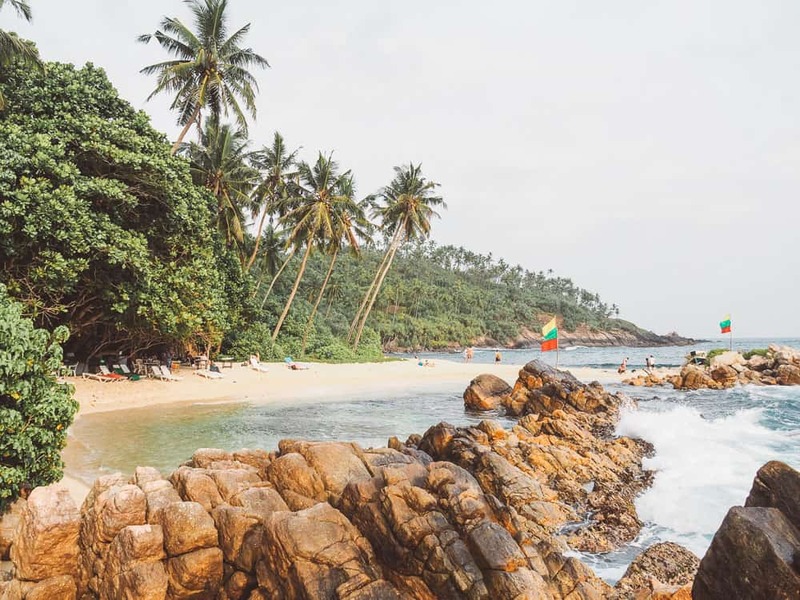 Of course with the new influx of tourism in Sri Lanka, spots like these become an opportunity for the locals to turn it into an attraction and somehow try to make money from it. Furthermore, they give Google a call to get their name put on the map! So I guess now you could say it’s a not-so-secret beach but it’s definitely worth a visit. 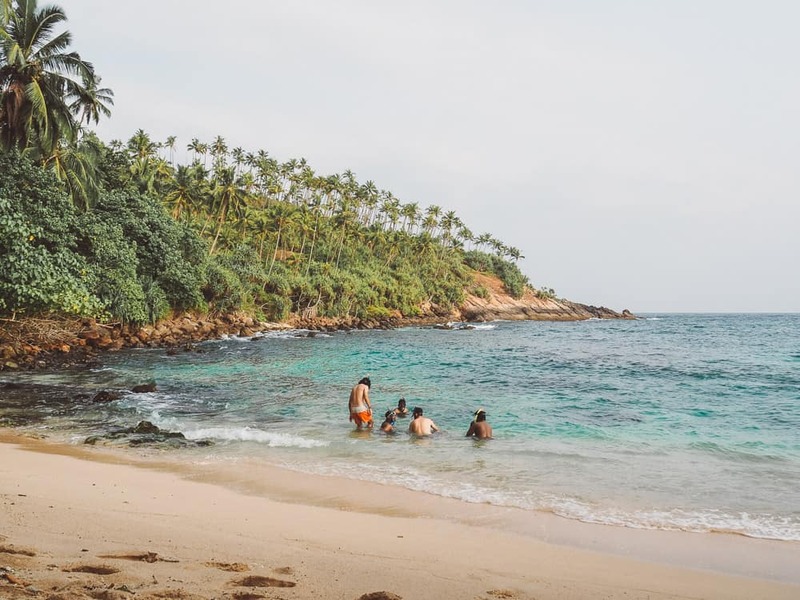 The great thing about the Secret Beach Mirissa is that you don’t have to pay an entrance fee to visit the beach. Instead of the locals charging an entry fee, there is an established beach bar and they will promptly try to sell you drinks and food. They also have snorkel sets and day beds for rent for 500 Rupees. This is their way of making a little bit of money and for you to enjoy the beautiful surroundings. There are actually 3 beaches at this Secret Beach location. Directly in front of the bar, there are hammocks and day beds overlooking a blue lagoon beach. A tidal rock pool, perfect for a lazy swim without the disturbance of crashing waves. 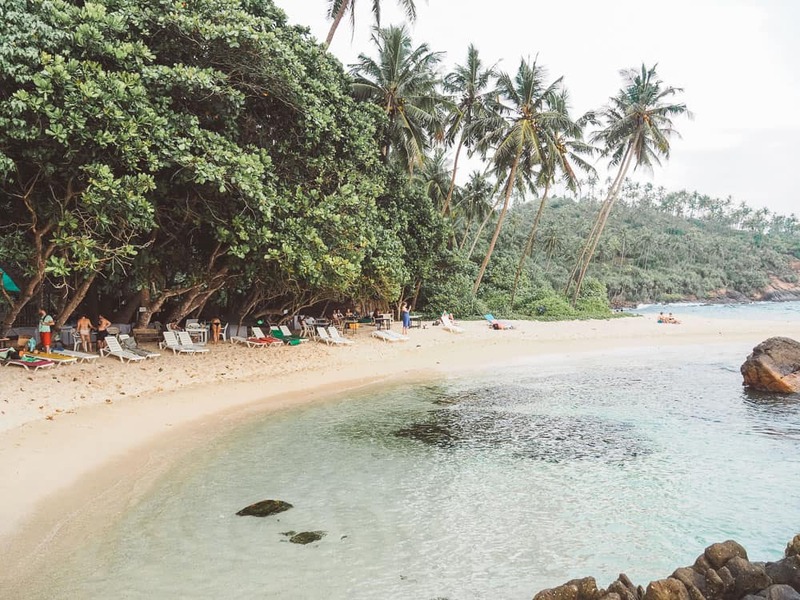 Around the corner from the blue lagoon is where the jungle meets the sea and here you’ll find a picturesque cove with golden sand and coconut palms. This is the best spot to go snorkelling and exploring along the rocks. This tucked away paradise is a sight for sore eyes! If you are in the blue lagoon looking out at the horizon, head to the right along the rocks and keep following it around until you come across the shelly beach. Swim in the crystal clear rock pools and get sprayed by the blow hole! There is lots of exploring to do around the Secret Beach and it’s a great spot to get some epic photos. I have been back twice now to see what else I could find in the area. There is an abundance of wildlife around, making themselves known, including black monkeys, squirrels, peacocks, fruit bats, birds and land monitors. 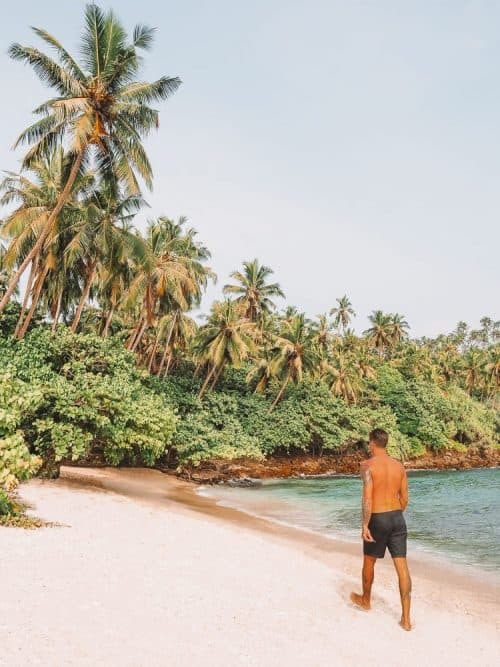 Sri Lanka is also home to 5 out of 7 species of turtles in the world, so keep your eyes peeled when you’re swimming or snorkelling because chances are high that you will spot a turtle. 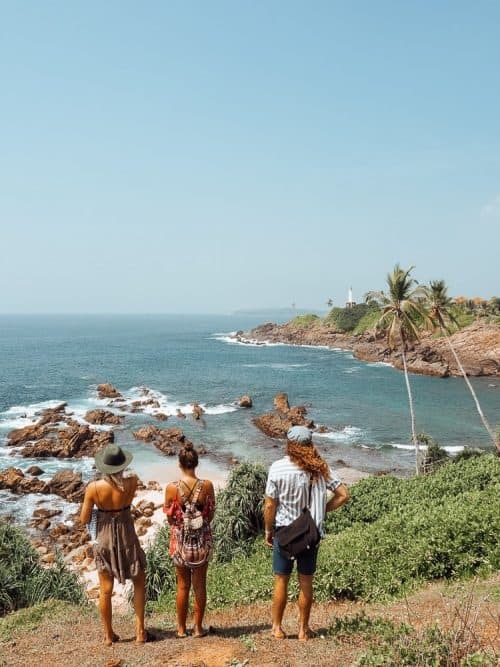 Weligama Bay is a very busy beach town and can get overwhelming at times, so go and discover the Secret Beach Mirissa for yourself and spend half a day getting salty and soaking up some sun. For all other accommodations in Weligama, you can click HERE to search on booking.com. 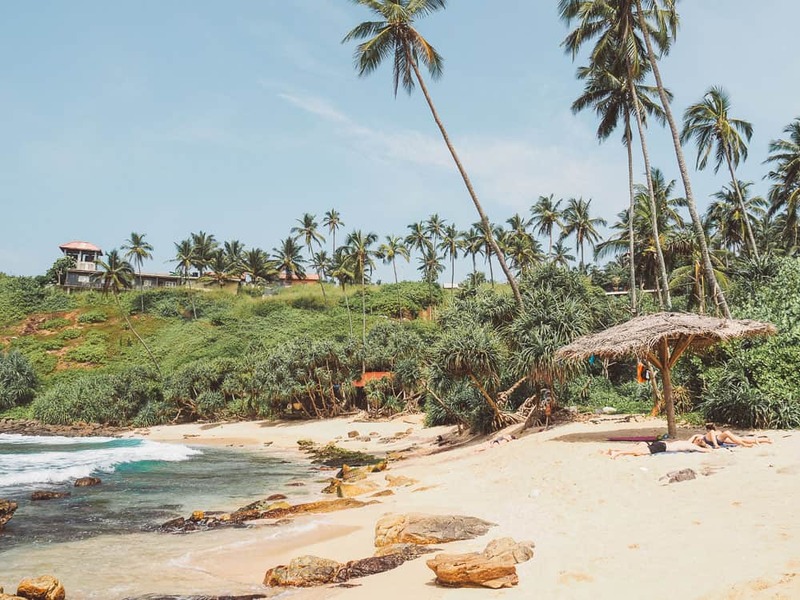 Be sure to read my 2 week Sri Lanka Itinerary Guide to discover all the best locations that Sri Lanka has to offer. 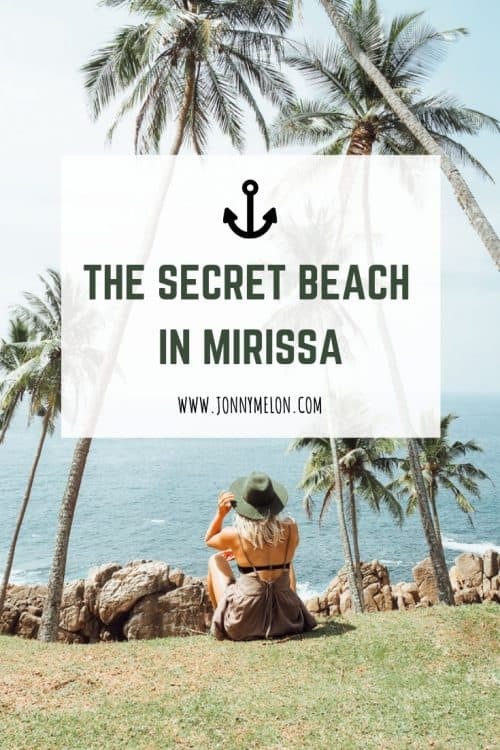 I hope you enjoyed this article, and if you have any questions about Secret Beach Mirissa please drop me a comment below. Hi jhonny I wanted to ask you is it family safe beach? does buses go there or I have to take taxi? 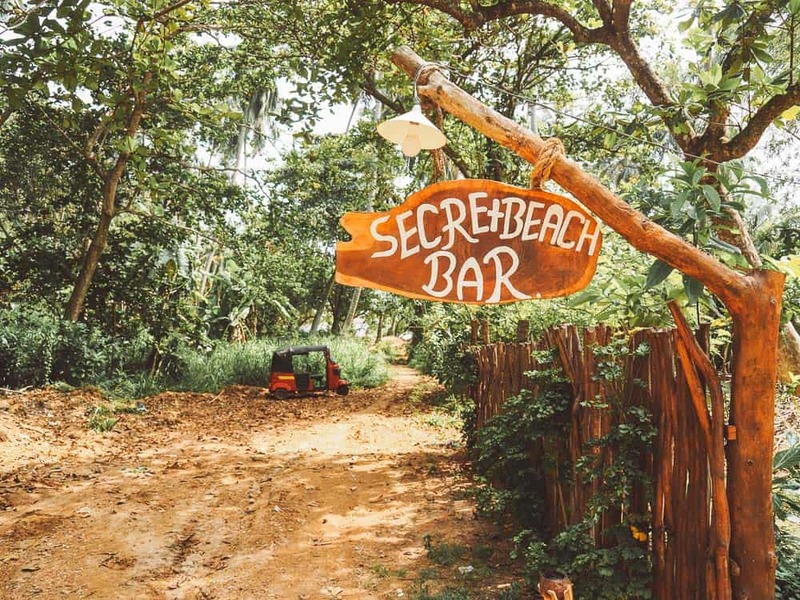 Yes Secret Beach is perfect for families and you will have to take a taxi or tuk-tuk is recommended. Hi Jonny, Thank you so much for this information. If you go there to spend the day…are there any toilets or any guest houses at the secret beach itself. Also do you know if the sea is safe in April.